Pregnancy is a time of tremendous physical change for both the child and the mother. Nature takes care of the child’s development, even to the point that the child’s nutritional needs take precedence over the mother’s. Because of this, optimal self-care during pregnancy is essential. 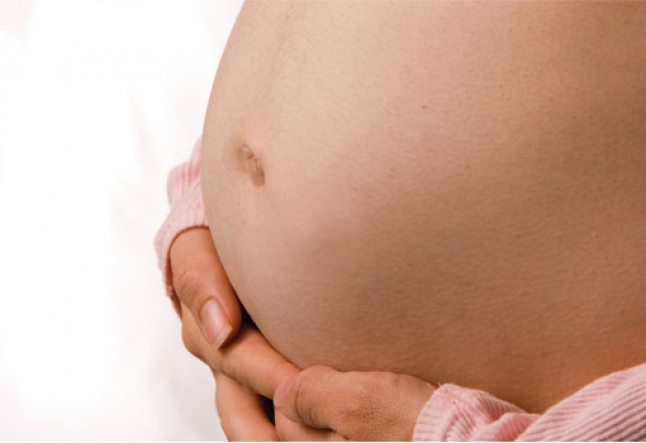 Ayurveda offers the following advice for expectant mothers. The three pillars of health from an Ayurvedic perspective are food, sleep and expense of energy. When we manage these three pillars, health is maintained in the body. During pregnancy, we pay special attention to these pillars to assure the health of the mother, and to optimize the health of the growing child within. When considering foods to eat during pregnancy “sattvic and abundant” are the key words to remember. Sattvic foods are foods that are filled with purity and life-force energy. One can eat freely of sattvic (pure) foods which include fruits, most vegetables, organic dairy, nuts, seeds, legumes and whole grains throughout the pregnancy. Ayurveda recommends limiting foods that are highly stimulating, for example sugars, caffeine or highly spiced dishes. Foods that are devoid of life force energy such as fried, canned, fermented or leftovers should be avoided during pregnancy. Abundancy is the other quality to consider in the diet. The mother should eat enough to satisfy her appetite, though not so much as to suppress digestion. This is best done if the mother plans for a number of small meals during the day and keeps healthful snacks on hand. If morning sickness occurs during the pregnancy, it is often a response of the body to the shifting hormone levels of early pregnancy. The symptom of nausea is often alleviated by keeping food in the system. When eating to counter nausea, it is important that very small portions be taken. Weak tea made with fresh ginger and lemon may help to assuage these symptoms, but solid food is usually what the body requires. Eating at regular intervals is helpful, as is taking time to sit down and focus while eating. Sleep is the second pillar of health. Sleep time is when the body recovers from the day, cleanses the blood and rejuvenates the nervous system. As the mother’s body adapts to the changes that are taking place, it is of paramount importance that she increase her sleep times. Her body will demand as much early in the pregnancy, and it is a wise woman who listens to this strong body need for sleep. Expense of energy considers how the mother-to-be spends her waking time. When we are lost in the doshas – vata, pitta and kapha, we lose track of how to best spend our energy and we act unconsciously in response to these energies. When vata is unbalanced, we overdo, spending energy that we don’t have to meet some unnamed need. Often this need is solely activity for activity’s sake. This rapidly depletes the bodies of both the mother and the child. When pitta is unbalanced, we control too much, demanding of the self that the body behave as it has in the past and pushing past the point of exhaustion. Often this is solely for the purpose of proving to the self and others that we are competent and capable. When kapha is unbalanced, we engage in too little activity, allowing ourselves to become complacent and sedentary. Often this is done because of an unconscious pull towards inertia. To balance expense of energy, it is important for the mother to engage in daily activity while remaining cautious not to overdo her activity. This requires checking in with herself and considering how much energy she has and what she wants to do. Activities including daily walking, gentle yoga stretches, and swimming are all considered beneficial throughout pregnancy. Exercise done daily during the first trimester has been shown to reduce complications during the last trimester. Self-care during pregnancy is the first gift that the mother can give to her child. If one can support these pillars, the health of the mother and the child will be optimized from the earliest moment and provide a strong foundation for the rest of the life.